Pullman Dosing kit comes with 1 x electronic scale and 2 x plastic containers. This will enable you to weigh your coffee dose down to .01grams. This tool is a must have to ensure accurate measurable dosing so you can create a consistent dosing extraction method. 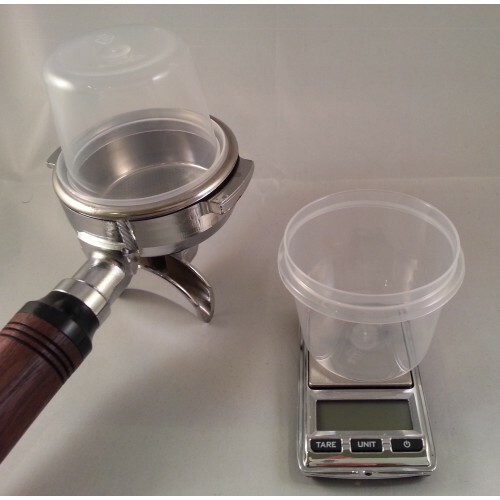 The plastic containers have been matched in weight and fit a 58mm Portafilter, this enables you to tip the coffee into the group head with ease.